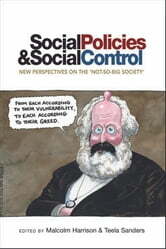 Drawing on a wide array of policy domains and events, this book provides an innovative account of social control and behaviourism within welfare systems and social policies, and the implications for disadvantaged groups. This accessible collection reviews the controls, assumptions and persuasions applied to individuals and households and explores broader themes, including how ‘new behaviourism’ was consolidated during the New Labour and Cameron periods. 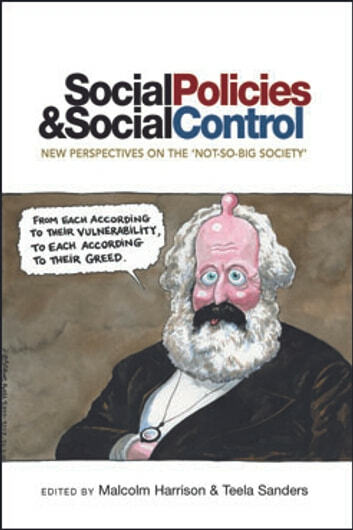 Social policy and social control offers timely engagements with key issues for researchers and policy makers, and is relevant for students in social policy, sociology, socio-legal studies, social work and social care, disability studies, human geography, politics and public policy, and gender, family and life course studies.